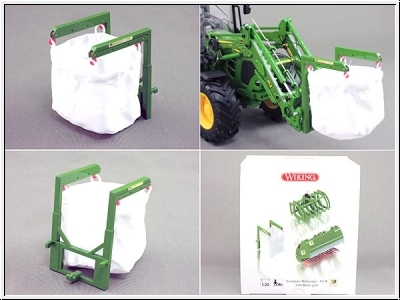 More loader options for John Deere tractors. 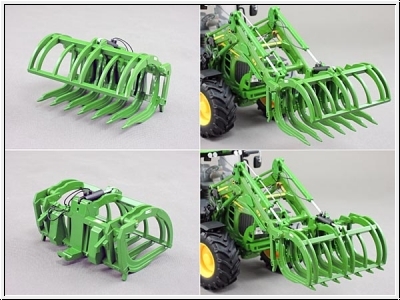 Who the John Deere with Front Loader in 32-fold miniaturization can call his own, which can boost the functionality with more options. 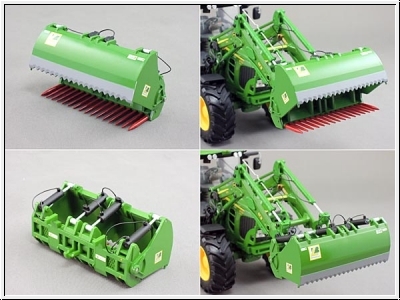 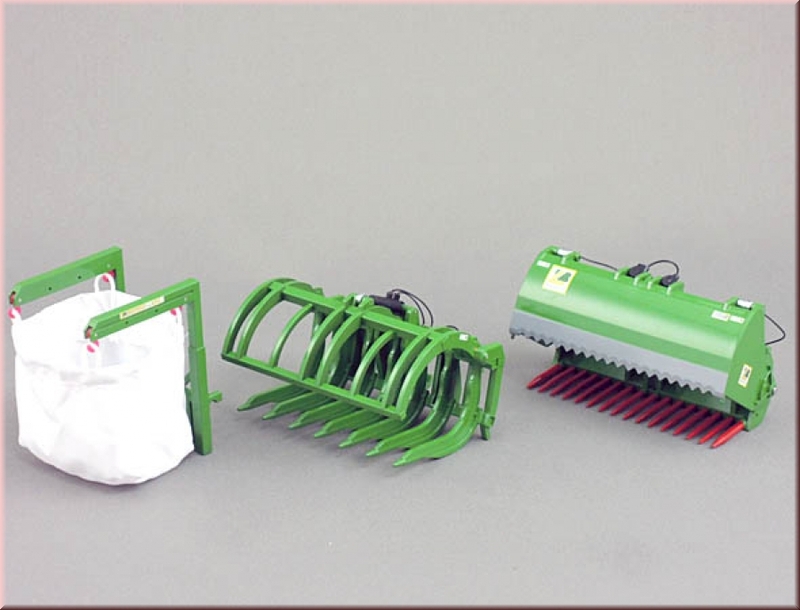 The second set contains Silage Cutter, Big Bag carrier with big bag and sticks fork. Silage Cutter is in the agricultural sector as a reliable attachment for clean removal of any kind of silage the safe transport of bulk bags guarantees the special big bag carrier. 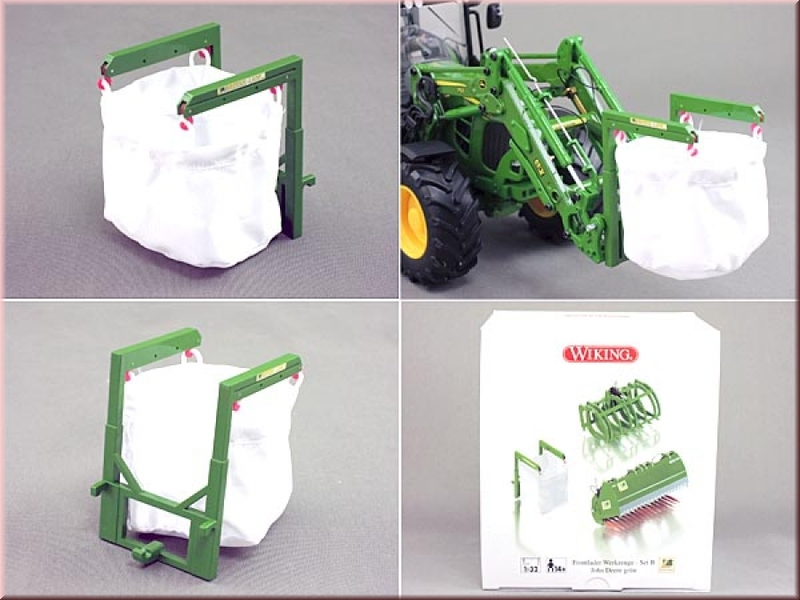 Due to the hydraulic front loading can increase the big bags are for example used easily for filling or drill for loading trailers. 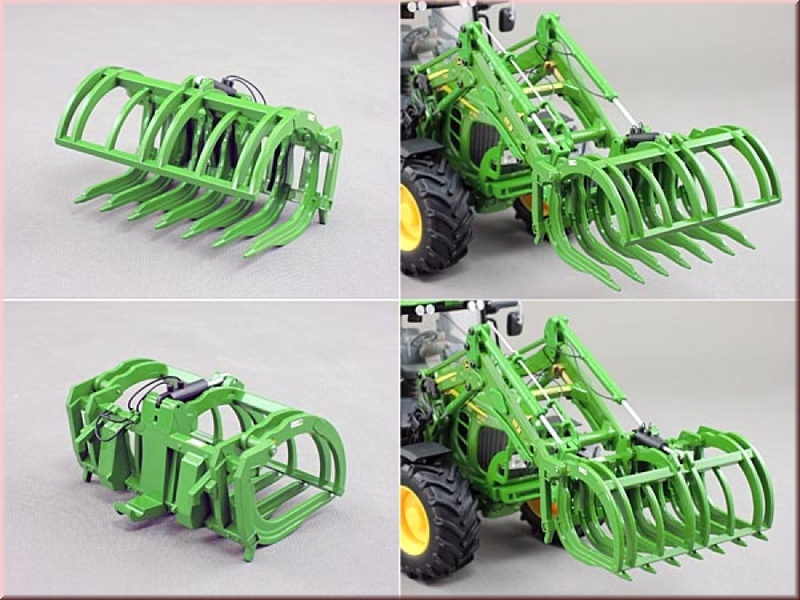 The sticks fork also has a fully movable mechanism, which can spread apart the nipper and the four prongs.